A supernatural cry of despair overwhelms your senses. Intruders ravage the woodland. The tribes must band together. The Elven Warrior LARP Sword moves gracefully with the guardian who vows to take vengeance for the forest realm. Just observe the elegant curves of its single-edge blade, and the enhanced grip of the ornate hilt. Wood grain with gold and silver accents contributes to its high fantasy theme. Crafted from closed cell foam around a solid fiberglass core, this LARP weapon is finished with a strong latex coating. The highly detailed handle is made from polyurethane, providing a strong hold during battle. 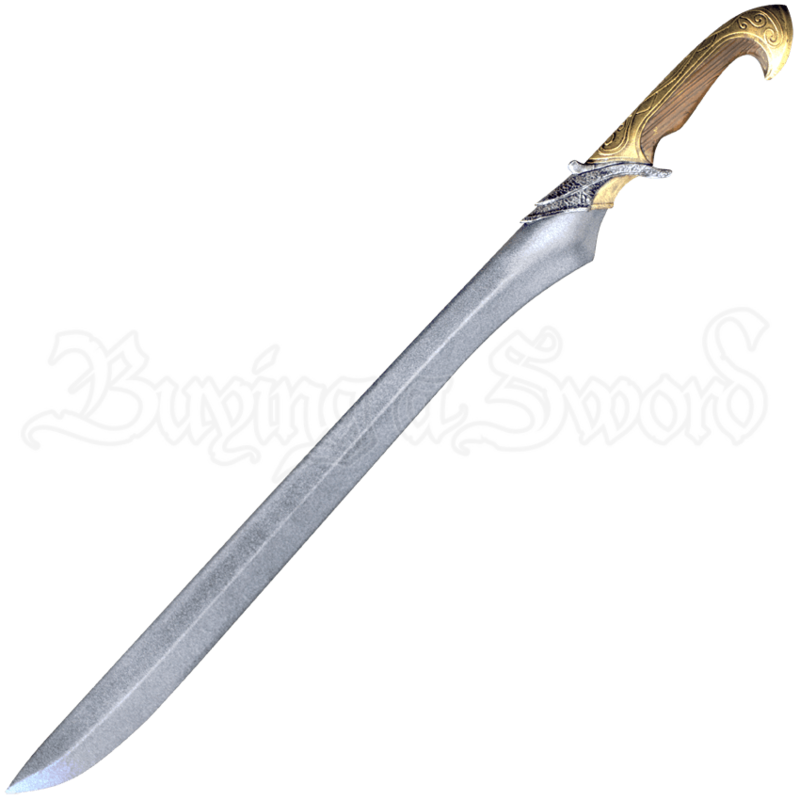 Whether as an Elven warrior from an enchanted forest or a Dark Elf of the underdark, enter your next LARP adventure with this sword at the ready.